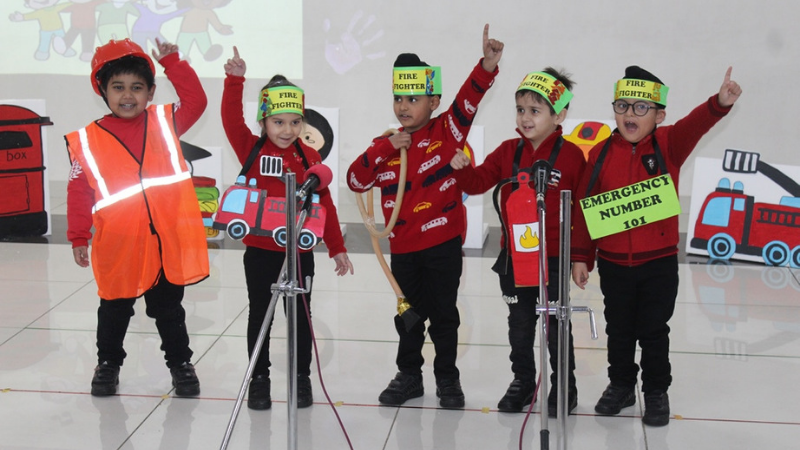 The students of Bloomz and Toddlers under the theme “On the Move” explained their classroom learning about Land, Air and Water transport through an enactment followed by beautiful rhymes. 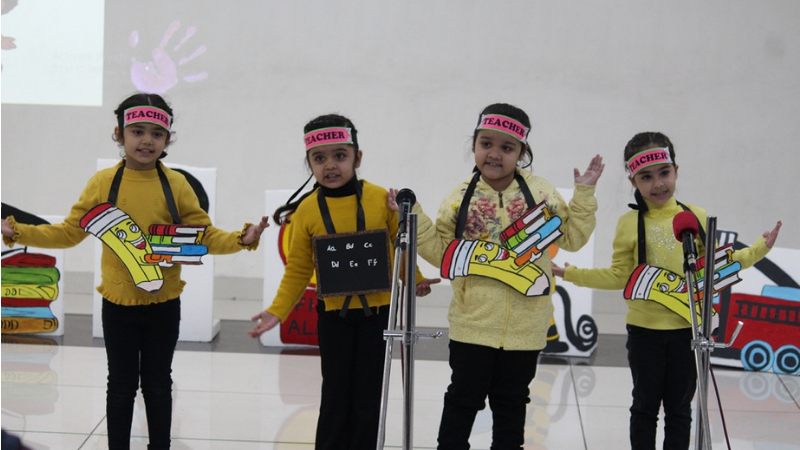 The presentation by the tiny tots concluded with an invigorating dance performance by the little rock stars which left the audience mesmerized. 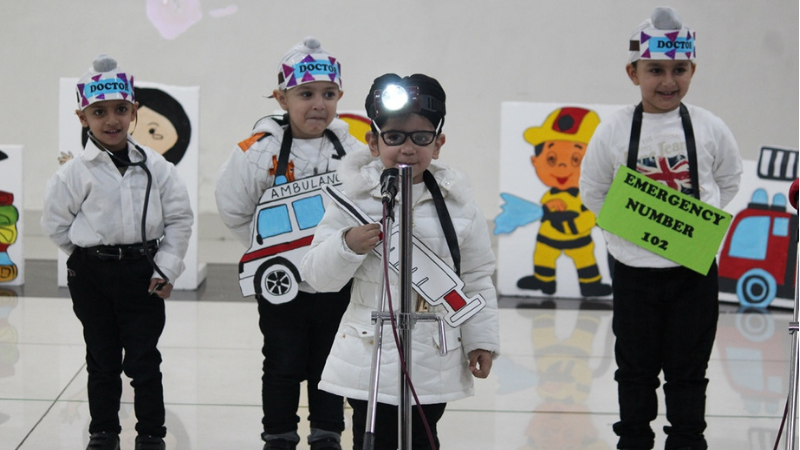 The students of Nursery enacted as “Community Helpers” under the theme ‘Let’s Pretend’, such as Firefighter, Policeman, Doctor, Postman and Teacher. Children also shared their learning about the special vehicles and emergency contact numbers for Police, Fire Engine and Ambulance. 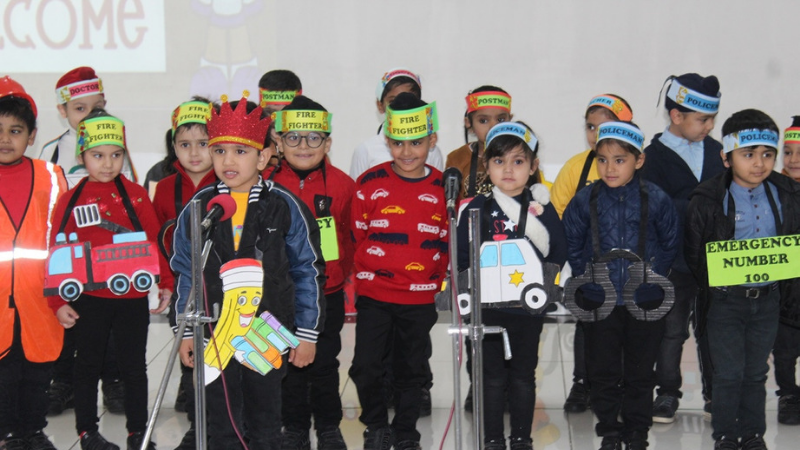 The students of Class KG shared their learning and expressed their knowledge about different festivals through a theme based assembly “Festivals”which included Onam, Christmas, Durga Puja, Diwali, Lohri, and Holi. 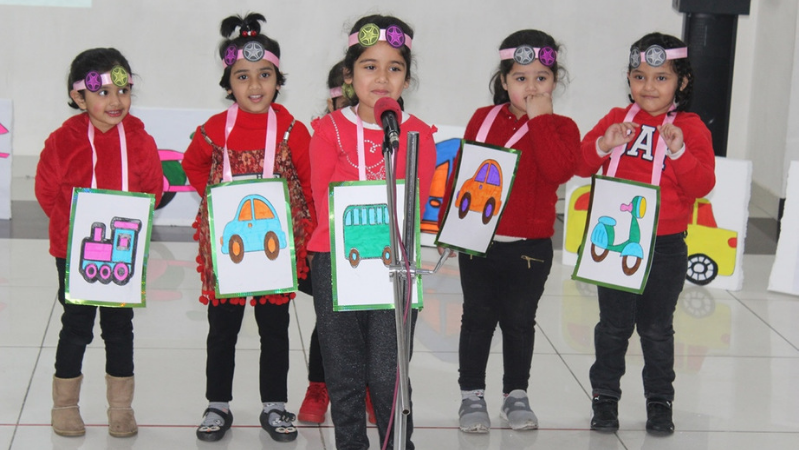 The children mesmerised the audience with a marvelous dance performance on various festivals and also shared their learning by performing songs, poems, and by apprising about some unknown amazing facts about different cultures, people, food, and heritage of our country. Dressed in traditional and ethnic attires such as Dhoti-salwar, Kurta-pyjama, Lehenga-Choli, Sarees, etc., the children displayed a fusion of different cultures defining true Indian values. The experience filled the parents with joy and left them awestruck for whatever the children displayed through their amazing performance. Such theme based special assemblies stimulate imagination, creativity, and wisdom to children in their formative years.